The Scar Quarry is immediately to the south of the North Quarry and at the upper levels the two quarries have merged. 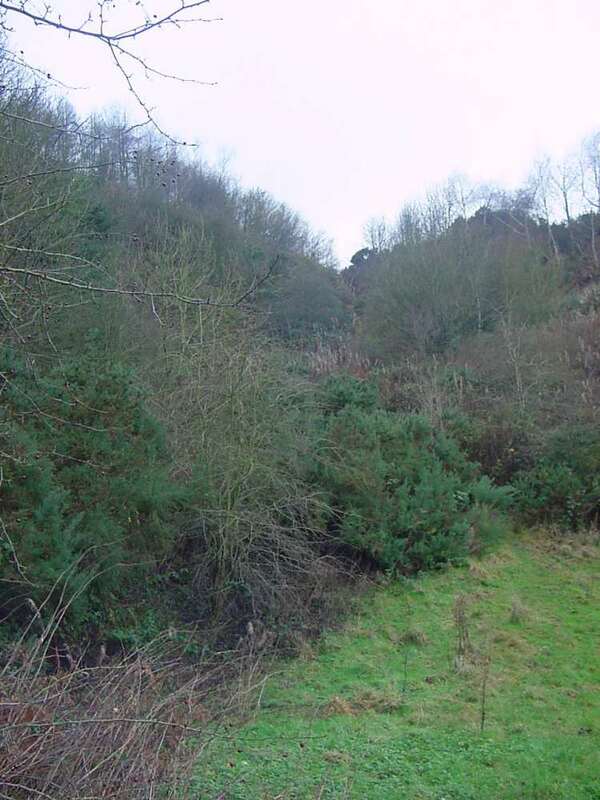 Only the base of the quarry is now easily accessed and even this is overgrown with trees and foliage. To access the site cars should be parked in the North Quarry car park. A path leads from the south end of the car park between a house and a tall concrete wall. At the end of the concrete wall is a small flat area on the right hand side. This is the foot of the Scar Quarry and one end of the narrow gauge cableway that ran up the hill to the higher level quarry. 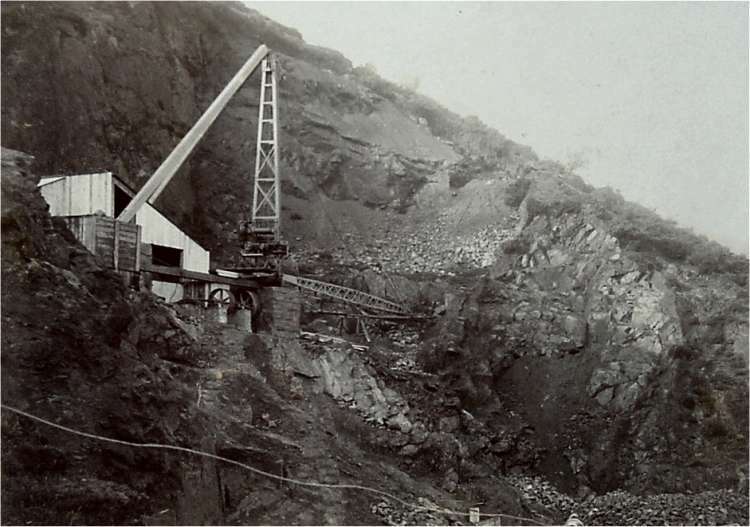 This spectacular photograph that is shown here by courtesy of the Malvern Hills Conservators was taken about 1907 and shows the crane that was at the base of the Scar Quarry. The crane is clearly marked on the 1927 Ordnance Survey map of the area. 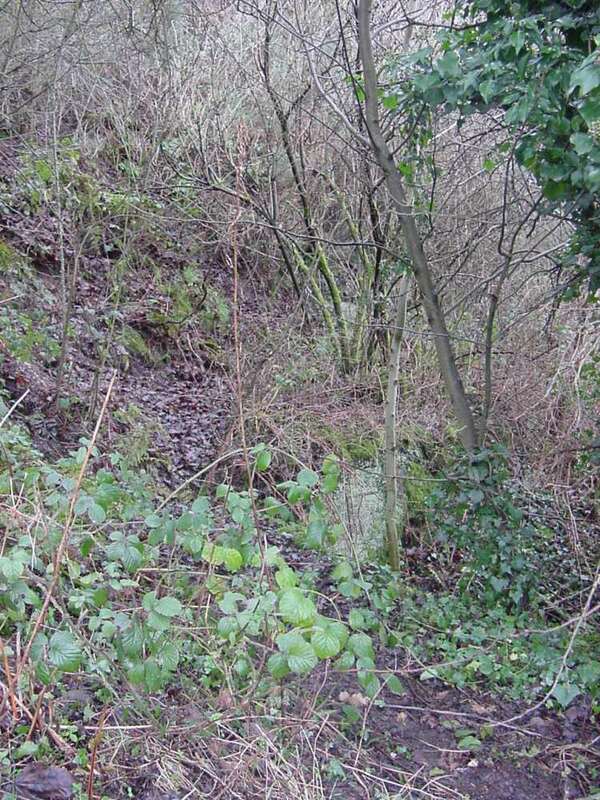 Nearly hidden beneath vegetation is this concrete block that is believed to be the base of the winding gear for the tramway. This is the view looking up the incline towards the quarry high up on the hillside.